The old adage is that half of marketing budgets are wasted but no one knows which half. Today’s marketers are looking to a variety of sources for a solution to this long-standing problem, says Johanna Frösén. The old adage is that half of marketing budgets are wasted but no one knows which half. Today’s marketers are looking to a variety of sources for a solution to this long-standing problem. The availability of different tools, methods and service providers for marketing performance measurement is constantly growing. The increasingly common use of tools and dashboards to trace the performance of individual marketing campaigns, offerings or investments in marketing has increased the transparency of marketing decisions. This transparency has also enhanced effectiveness and efficiency in the use of marketing budgets through greater accountability. However, measurement is not always the (only) key for ensuring successful allocation of marketing budgets. Our recent research shows that whereas large firms undoubtedly benefit from basing their marketing decisions on solid analysis of measurement data, for small firms, concentrating on creating the right spirit and organizational culture can sometimes have as much impact as formal measurement of performance. nothing can replace the power of informal organizational culture in guiding individual behavior. Our findings stress that instead of indulging in “metrics madness”, firms should “have metrics for their metrics”, or in other words they should carefully adjust their data collection and measurement to the specific needs and resources of the firm. Collecting, storing, and analyzing performance-related data is always costly, and is only justified in cases where the informational gains derived from the data exceed these costs. The costly data-driven management of marketing performance should also be weighed against other, softer and more informal forms of marketing control. Most often the optimal approaches lie in combining the two: an appropriate organizational culture that fosters individual commitment towards achieving firm-level goals, supported by appropriate performance measurement to concretize these goals and their achievement. As with all things in life, just because you can do it doesn’t necessarily mean you should. In the era of big data, advanced customer analytics and data mining techniques and customer service automation, the opportunities for and benefits from data-driven decision making in marketing are soaring. Simultaneously, there is an even greater need for critically assessing the value and potential of different techniques for data mining and analytics from the perspective of the firm’s value promise and business model. The challenges facing tomorrow’s marketing executives are not so much related to technical competence in data collection and analysis, but more pressingly to identifying the firm-specific business value that can be acquired from diverse data sets and analyses. Whereas constantly increasing data availability and novel techniques for supporting or even automating decision-making certainly provide promising opportunities for business development, these opportunities do not reduce the need for leadership and strategic insight, in fact they increase it. As for performance control, the value of such opportunities lies not in the data or advanced algorithms available for their analysis per se, but in the way in which they can be put to use in order to reach better business decisions, enhanced customer service, and effective and efficient exploitation of business opportunities. The question all marketing executives should be asking themselves in our data-filled world is: How can these new sources of data and insights best be harnessed in the context of my firm, and how can we ensure that we are getting the optimal value from their use? 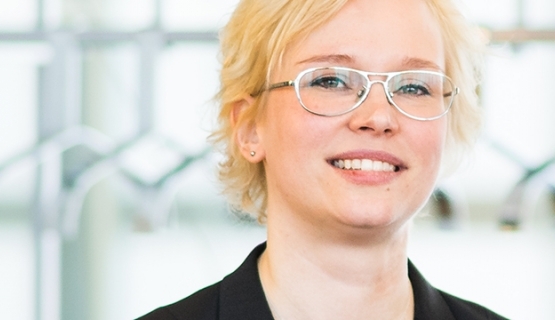 Dr. Johanna Frösén is Assistant Professor at Hanken. How well do you know your customer?For the past years we have experienced an intensive rise of big data with its capacity to understand and predict consumer behavior.